Thanksgiving has come and gone, officially putting an end to all of the “It’s too early for Christmas” arguments. Quite the contrary, now all the brands that were polite enough to not roll out their seasonal menu in August have to scramble to fill us in on what they have planned for the holidays. 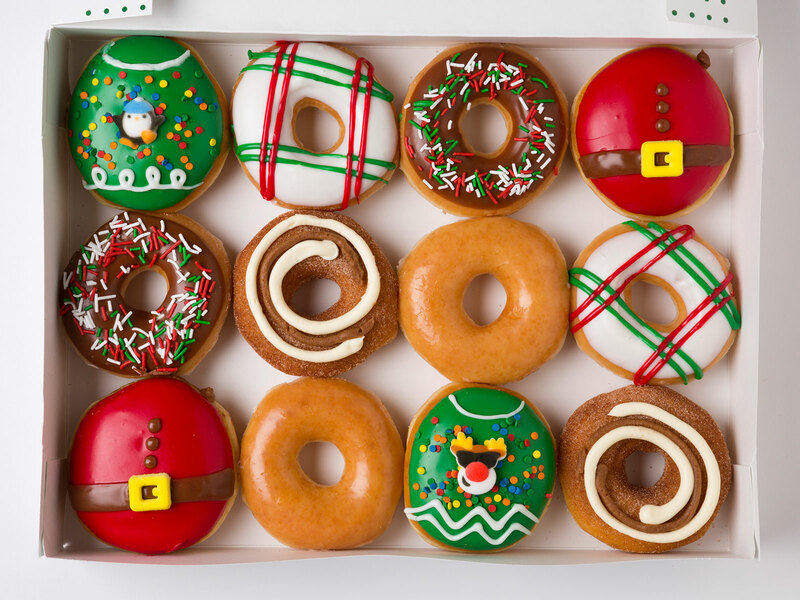 Krispy Kreme knows a thing or two about limited-time-only seasonal offerings: The brand changes its doughnut offerings at a rapid clip. Just two weeks ago, the chain announced they were adding the Cinnamon Swirl Doughnut to their repertoire until January 2019. And now, they’re already back again with a bunch of specifically Christmas-themed items until December 24. Worthy of leading off that list is one new offering — the Ugly Sweater Doughnut — described as a “take on the festive ugly sweater trend” that “is dipped in green icing, sprinkled with confetti and decorated with over-the-top reindeer and penguin candy pieces.” Though the idea of having a wooly sweater in your mouth might not sound that appealing, don’t worry, I get where you’re going with this, Krispy Kreme. 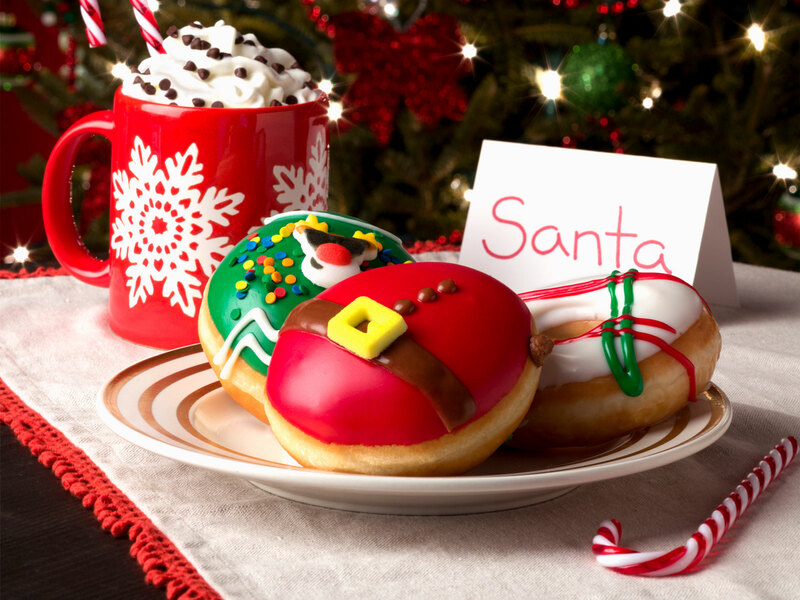 “This year’s deliciously festive collection is our way of bringing a little tasty fun and whimsy to our consumers during the hectic holiday season,” Alison Holder, Vice President of U.S. Retail Marketing, said in a statement. After that, you’ll just have to wait for Krispy Kreme’s next round of LTOs to find fun and whimsy.